Experience First-Class Fun in Wichita, Kansas! With approximately four million visitors each year, Wichita, Kansas is a great destination with first-class attractions for everyone in the family! More than 1,000 restaurants representing a wide array of cuisines, including craft beer, wineries and French patisseries dot the city landscape, while eclectic shops, antique stores and open malls offer premium shopping opportunities. Take advantage of cultural exhibits and museums that offer art, Western history, botanical gardens and more. And at night, the city stays alive with in-theater dining, dancing and live music venues. 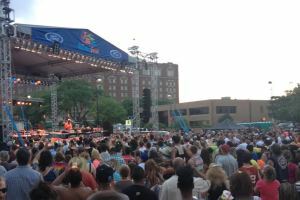 Wichita is serious about bringing people together and is home to the largest festival in Kansas! RiverFest began in 1970 in an effort to build community and focus on town pride all while showcasing the natural beauty of the Arkansas River. Early festival-goers participated in antique bathtub races, canoe races, antique auto shows and a moonlight river parade. Modern-day participants enjoy more than nine days of incredible festival fun with everything from a 10k RiverRun to concerts featuring entertainers like Daughtry, Huey Lewis and Nick Lachey. Staying true to its roots of affordability, the festival is only five dollars for more than a week of family fun. 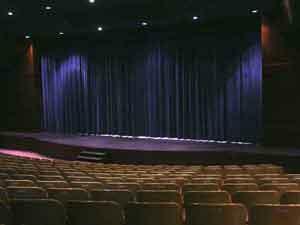 For more than 90 years, the Wichita Center for the Arts has provided comprehensive visual and performing arts experiences. The Center believes in providing artistic education and performances that also engage patrons in interactive cultural experiences. A class like Fine Art for the Wine Heart is a great example of what’s available at this special facility. Participants have the chance to recreate a classic painting with individual flair while relaxing with one’s favorite glass of vino. Everything needed for the class, including the wine glasses, is provided except for one’s favorite bottle and the painting goes home students at the end of the class! While dining options run the range of international cuisines normally found in much larger cities, the Old Town Farmers Market is a must to visit. 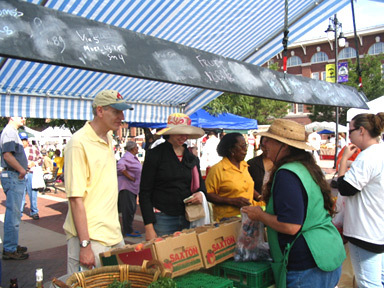 The market, located in beautiful Old Town Wichita, not only offers a bountiful array of fresh fruits, vegetables, meats and cheese, but there is also an exciting array of prepared foods from fresh local ingredients. Delight in farm-produced jams, salsas, honey and handmade craft items. Live music and chef demonstrations make this market a truly unique and entertaining experience. Enjoy the big city offerings of Wichita by booking a convenient SkyWest Airlines flight, operating as American Eagle, from Chicago. The best fares can always be found on aa.com.